An August holiday can be a difficult task, with school children on their summer holidays the month is prime time for travelling families. Naturally because of the best weather around Europe, it’s a pretty busy time, but here are some further afield popular destinations that have great weather-ish and won’t contain flocks of holiday makers. Here are some places to consider for an August holiday. 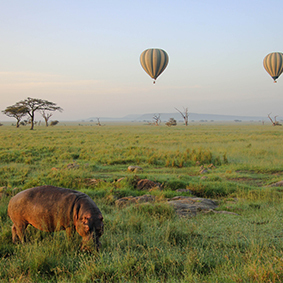 Tanzania is perfect for a safari holiday in August with average weather of 24 degrees. 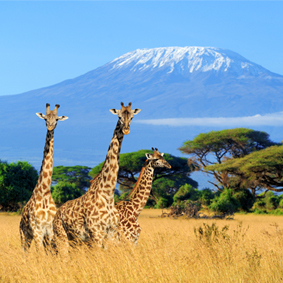 Home to the big 5, you can try and spot them at the renowned Serengeti National Park and Kilimanjaro National Park. 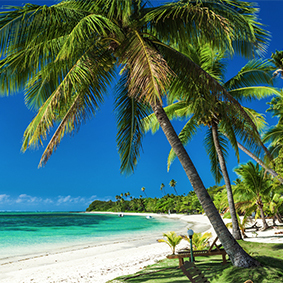 Offshore lies the idyllic islands of Zanzibar, which is a great combination for a multi centre holiday package. 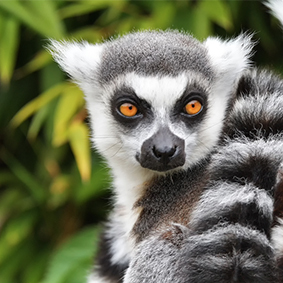 Zanzibar is a beautiful island off the coast of Tanzania with stunning natural beauty from white pristine beaches, a National Park and old fort, which is now home to a cultural center and stone amphitheater. 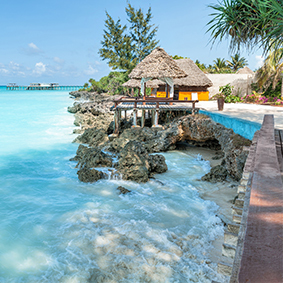 Featuring a range of stunning, luxurious hotels on the beachfront of the island, Zanzibar is an excellent destination for snorkeling and water activities. During August, temperatures average around 24 degrees. Cape Town has temperatures of 13 degrees. If you’re looking to combine your holiday with a safari, Kruger National Park can reach around 18 degrees. Perfect for families and couples looking for romance, a South Africa holiday can vary depending on your passions. 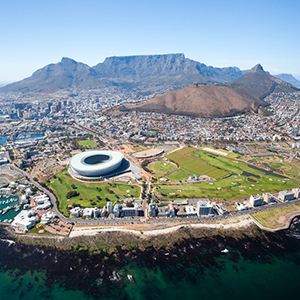 From thrilling game drives in one of the game reserves to sampling wine in one of the many sweeping vineyards in Cape Wine Lands District – a visit to Cape Town is a must do, see the penguins on Boulders Beach, abseil Table Mountain and dine and shop along the stunning V&A Waterfront. Weather in August in Singapore is still considered as the monsoon season and rainfall is expected. Temperatures average with 27 degrees with highs of 31 and 9 hours of sunshine. 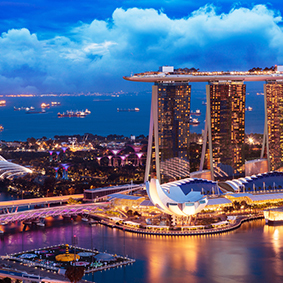 Singapore is a riot of gilded temples, glittering skyscrapers, stately colonial buildings and lush green spaces populated by chattering birds and monkeys. The perfect place for a fascinating city break or even an exotic South-East Asian honeymoon, a sojourn spent in this vibrant metropolis is sure to prove unforgettable. 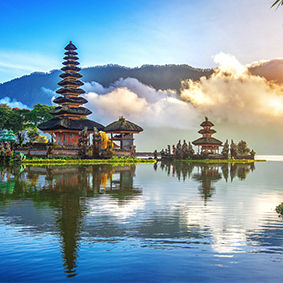 August is a good time of year to visit Bali on average the weather is a lovely 27 degrees and can go as high as 31 with 6 hours of sunshine a day! Our two main destinations in Bali is Ubud and Seminyak, which are both great together as you get to explore the lush jungles, rice paddies and culture in Ubud, then head off to Seminyak for a relaxing beachfront holiday. Lombok and the Gili Islands are also fantastic to explore when visiting Bali and have temperatures of 26 degrees. Rich in culture and home to more UNESCO world Heritage Sites found anywhere else in the world – Italy is a spectacular destination with a range of destinations offering something different. 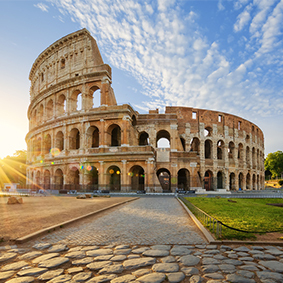 For ancient ruins, visit Rome, which has excellent temperatures of 24 degrees in August, with highs of 30 degrees. If you’ve always wanted to go on a Gondola ride in Venice, the weather here in August is around 23 degrees with highs of 27 and 11 hours of sunshine each day! On the bucket list of many, the gorgeous Amalfi Coast has beautiful beaches, colourful villages, terrace vineyards and lush lemon groves. August is the hottest month in Sorrento with lovely temperatures of 24 and highs of 29 degrees. Greece is hot in August and on the mainland, Athens sees average temperatures of 29 degrees and Rhodes is 27 degrees. 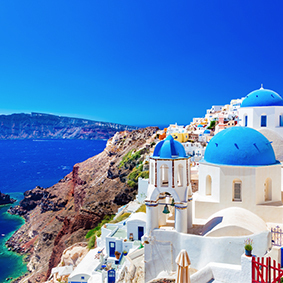 The Greek Islands has similar weather to the mainland, with popular holidays destinations such as Santorini (highs of 29 degrees), Crete (highs of 29 degrees) and Mykonos (highs of 29 degrees). Portugal’s capital, Lisbon has warm weather in August with an average of 23 and highs of 28 degrees. 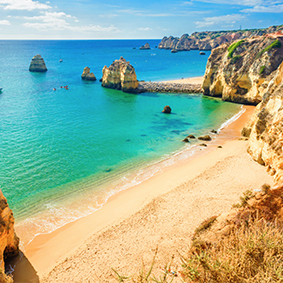 Those looking for a beach break in Portugal can enjoy the warm weather in Algarve, which has an average temperature of 24 and highs of 32 degrees. Portugal is a small country nestled on the Iberian Peninsula, which it shares with Spain. A picturesque country with diverse landscapes, ranging from lush mountainsides to rocky peaks, desert regions and stunning beaches dotted with luxury resorts, Portugal is an idyllic place in which to spend a relaxing golf or spa holiday, or a fun-filled family vacation. 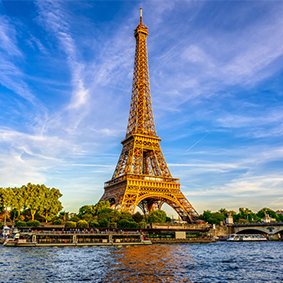 August is a popular month to visit Paris, home to the Eiffel Tower, Gothic Notre-Dame cathedral and designer boutiques. Weather during this month is around 20 degrees with highs of 25 degrees. For a seafront escape in France head to sunny Monte Carlo, which enjoys temperatures of 24 degrees and highs of 26 and 13 hours of sunshine each day! Families with younger children visiting France may want to spend a day at Disneyland Paris, which consists of two theme parks and a shopping district and includes such exhilarating rides as Space Mountain and Pirates of the Caribbean; other great options for kids range from Aquaboulevard to the Aquarium La Rochelle. Dubrovnik is a popular holiday destination when visiting Croatia and August is a great time of year to visit as it’s hot and dry with 25 degrees and can reach highs of 28 degrees. 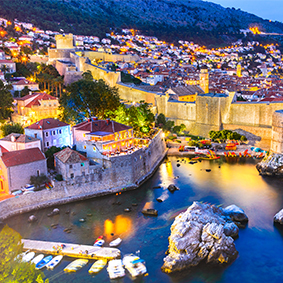 Explore the Old Town and popular sights as seen in the hit TV series, Game of Thrones and explore the city’s walls for absolutely breathtaking views of the ocean and beyond. Split is another great destination in Croatia to visit in August with average temperatures of 24 and highs of 29, located on the Dalmatian coast with beautiful beaches Roman remains, white stone walls and a gorgeous seafront promenade with swaying palms trees and plenty of restaurants to dine in. 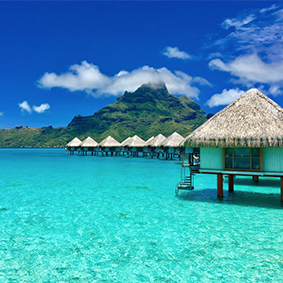 If you’re searching for paradise in August, Bora Bora is a great option. Imagine relaxing in your private overwater bungalow with the views of lush mountains and azure, crystal blue waters as your view? Naturally beautiful, Bora Bora offers luxurious resorts to choose from to make your holiday extra special and is a fantastic place to scuba dive and attracts honeymooners for its romantic location. Kick back and relax on a gorgeous beach in which your luxurious accommodation for the next week or two is your new oasis in the Indian Ocean. Mauritius in August has lovely weather with average temperatures of 21 and highs of 23 and there’s 8 hours of sunshine a day! If you love to explore culture, Port Louis is Mauritius’ capital with stately colonial architecture and Le Caudan Waterfront. 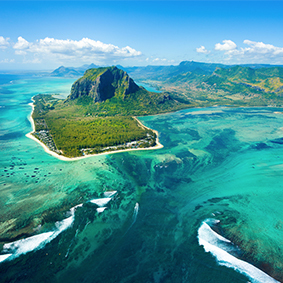 As well as gorgeous beaches, Mauritius has stunning natural beauty such as Le Morne Brabant, Black River Gorges National Park, Seven Coloured Earths, Trou aux Cerfs and Chamarel waterfall – just to name a few! 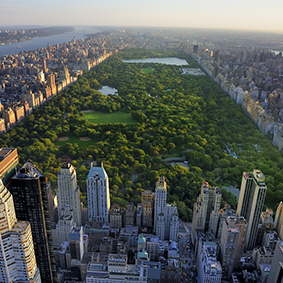 Visit popular USA cities such as New York (highs of 28 degrees), Las Vegas (highs of 39 degrees) and Los Angeles (highs of 28 degrees) on your holiday, which are great destinations to combine together or as a singular trip! 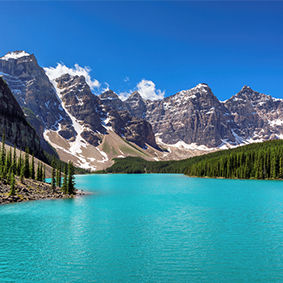 A holiday to Canada can be as adventurous as you like! From bustling cities to sweeping landscapes – Canada really does have it all. If you’re looking for adventure, Banff National Park has lovely temperatures of 16 degrees and highs of 24! Toronto and Vancouver have similar weather averages of 18-21 degrees – perfect weather for shopping and seeing all the main attractions and sights!